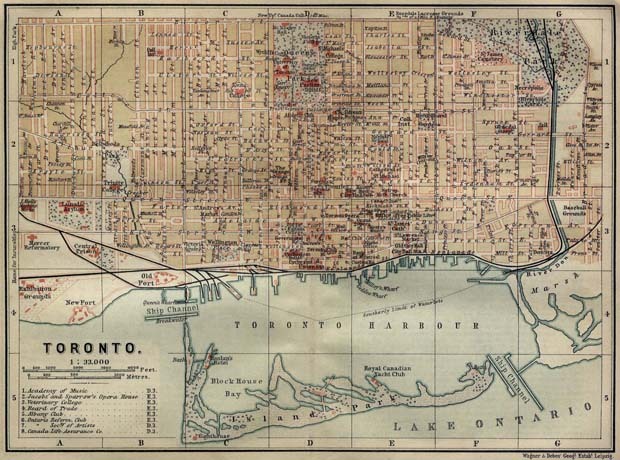 Toronto just celebrated its 176th birthday by cleaning out its closet. The city gathered up 100 of the 150,000+ objects in its historical collection and put them online in an awesome, interactive, object-based scrapbook of Toronto’s past called the Toronto Museum Project, designed by Ecentricarts with York University’s Augmented Reality Lab. Each item gets both the curatorial treatment and, in a Storycorps-like touch, the memories of a local Torontonian it inspires. Plus, some of the objects are grouped into online exhibitions, organized around things like architecture and, uh, Santa Claus. Lately, we’ve been telling a lot of stories about ourselves, and our history, based on our stuff. Over at the aptly-named Significant Objects, Joshua Glenn has been tracking the meme in advertising (figures: he wrote edited the book on it). Most notably, the BBC is in the midst of a two-million-year journey through our cluttered attic, telling the stories of choice items like Dolly the sheep, a guillotine, and a piece of the first trans-Atlantic cable. But we’re more than our things, aren’t we? Toronto is. 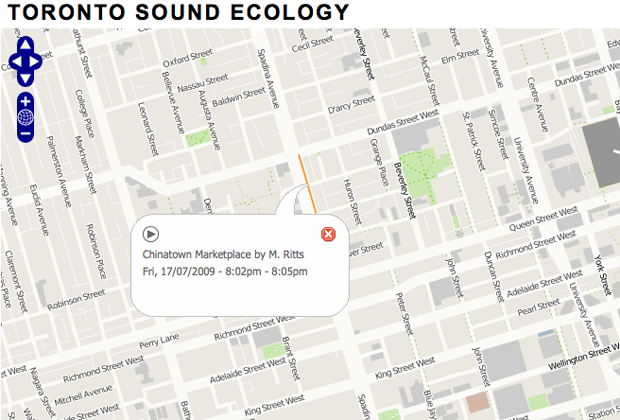 Consider Greg J. Smith and Max Ritts’s just-launched Toronto Sound Ecology. It’s pretty slim pickings so far, but imagine its scope: Smith and Ritts (and any number of local collaborators) plan to hike around their fair city, recording their treks as audio files, and linking them to an interactive map that you can browse and search. Click on a street, and you feel like you’re there… with your eyes closed. It’s sonic Street View. NY Soundmap’s Sound Seeker was a similar effort in New York. Have you heard of others?